Classic stationary and notebook purveyor Moleskine has taken a leap into the future with their new Livescribe 3 smartpen that turns your notes into digital files. The amazing notebook is paired with a pen packed with motion sensors that translate the pen’s movements into digital images. With the Moleskine Livescribe Notebooks, you can still jot down all of your genius ideas- without having to transcribe them later. Moleskine Notebooks have become a modern classic, toted by writers, thinkers and students alike as the ideal tool for writing down important notes, narratives or assignments. But in a digital world, those thoughts, poems or stories are often retyped in order to preserve or share with others. Related: 3Doodler: World’s First ‘3D-Printing Pen’ Lets You Draw Designs in Thin Air! 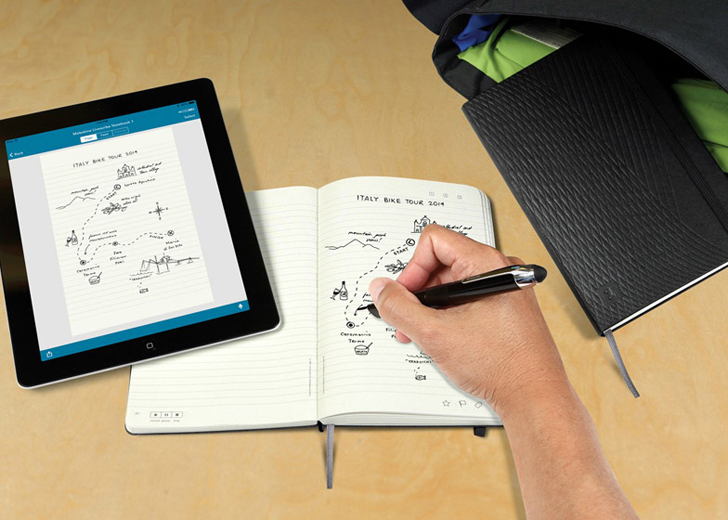 With the Moleskine Livescribe Notebook and Livescribe 3 smartpen, all of your doodles and words are synced to your iOS device via Bluetooth. With its connection, each letter and image written is transported in real time to the app. The notebook itself has three icons on the lower left corner that enable the data to be starred, flagged or tagged, which can later be organized with Evernote or Echo. The high tech notebooks look just like regular Moleskines, complete with their iconic rounded corners, ribbon bookmark and elastic closure that keeps the pages safe. The black ink ballpoint pen can be charged up via Micro USB cable. 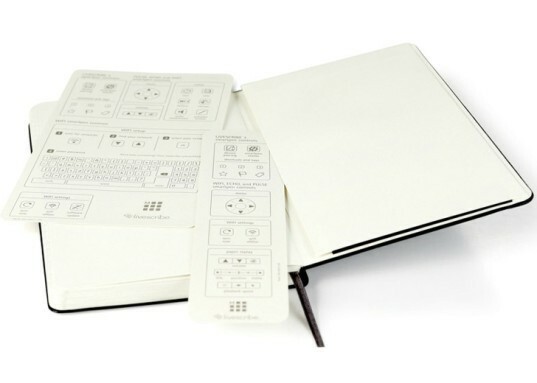 Marrying analog and digital, the Moleskin Livescribe Notebook creates an easier way to seamlessly move from one method to the other. These guys impressed me today: http://kck.st/2dLmsIU . Their paper planner links directly to digital calendars - exactly what I wanted to be better self-organised.